Sipsmith is a small-batch (copper still), award-winning, artisanal London Dry Gin that uses 10 botanicals and leans towards a slightly drier style than the “usual” London Dry Gin. Fresh, fragrant, floral aromas are enhanced with notes of citrus, herbs, sandalwood, and noticeable but not overpowering juniper. Dry and crisp, yet well balanced in the mouth, with complex herbal/lemon zest notes, along with fresh juniper and mild fennel. The perfect base for a dry martini or G&T. The following recipes were created by Sipsmith London. 1.5 oz of Sipsmith London Dry Gin paired with tonic water with a lemon twist or wedge of lime. 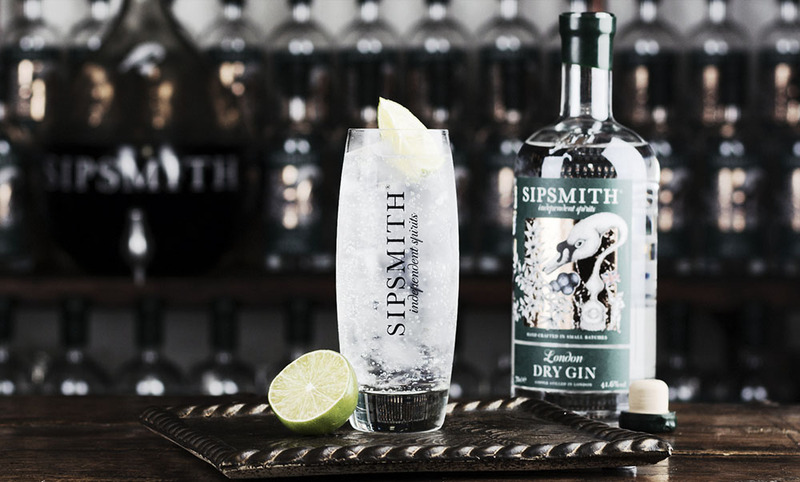 Presented in a highball or a cabernet glass for swirling Sipsmith’s delicate botanicals. 2.5 oz of Sipsmith London Dry Gin as the perfect Martini base with 0.75 oz of dry vermouth and a cocktail olive.